There are many reasons why you need to recycle your old technology. Doing so helps to keep our planet safe for future generations. The fact is that computers, PCs, monitors, and other consumer electronics contain hazardous materials like barium, beryllium, phosphorus, lead and many other hazardous chemicals. It is important for all of us to keep these hazardous chemicals out of our landfills where they can leach into the groundwater. When you recycle, these products are reused by our e-cycle partners to the greatest degree possible, and this is good for the environment. In many areas it is already illegal to dispose of these devices in the landfill. Most other states are adopting laws like Illinois which beginning January 1, 2012, makes it illegal for any person to knowingly cause or allow the mixing of a consumer electronic devices, or any other computer, computer monitor, printer, or television with municipal waste that is intended for disposal at a landfill. 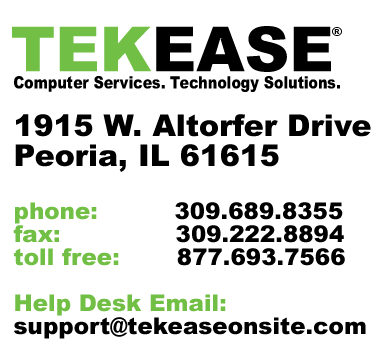 TEKEASE is not a systems recycler, collector or e-waste processor. Instead, we recommend you work with a with certified and registered e-waste collectors, recyclers and processors to keep our community safe. The e-waste partners we work with must comply with all state and federal environmental regulations. In Peoria Area we recommend you take your computers and other electronics to Advanced Technology Recycling (ATR). 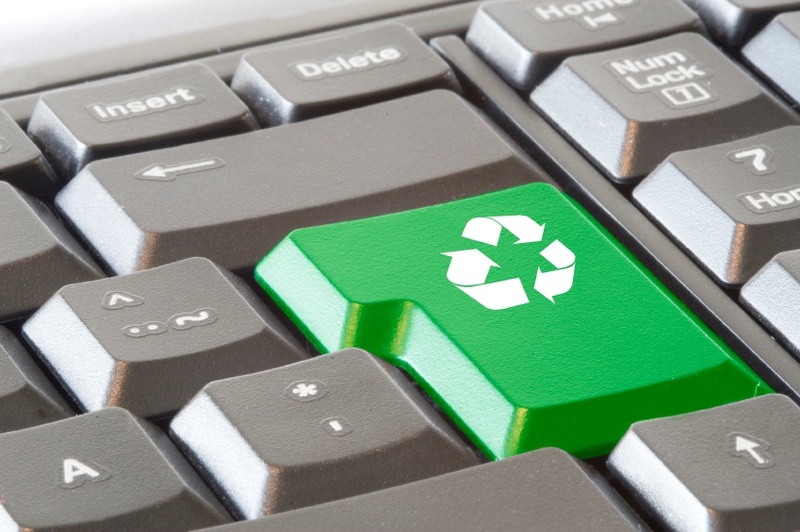 NOTE: Please note that many recycling organizations charge a fee to dispose or your e-waste. We highly recommend contacting the recycler by phone before making the trip to avoid surprises.